I had the pleasure of creating a custom design for Amy and Jeff’s Memorial Day Weekend wedding. In addition to incorporating their color palette of coral and aqua, the couple also wanted to include the infinity symbol. It’s totally their thing- he had a custom ring made that includes the symbol (I know, soooo adorable, right?!). We bounced around a few ideas, and landed on this airy and casual design. Totally a reflection of them — you can totally tell that about them from their photo! 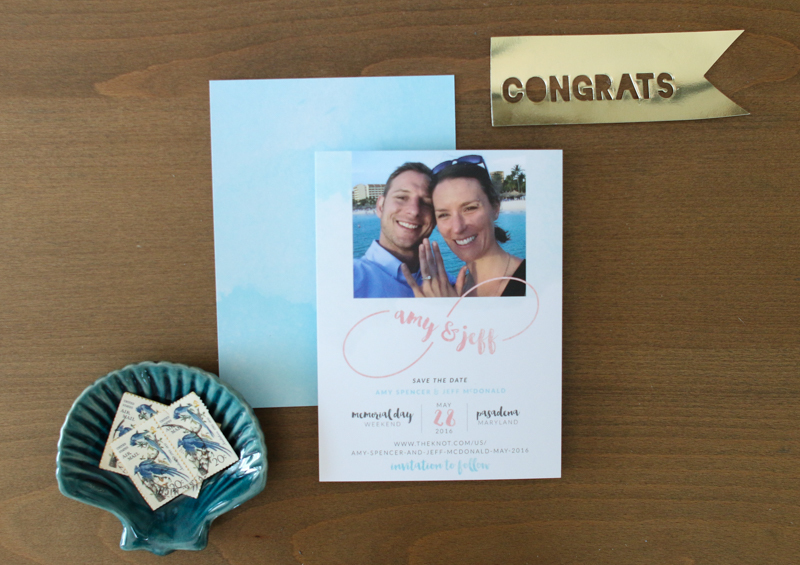 I can’t wait to design and share their wedding suite! 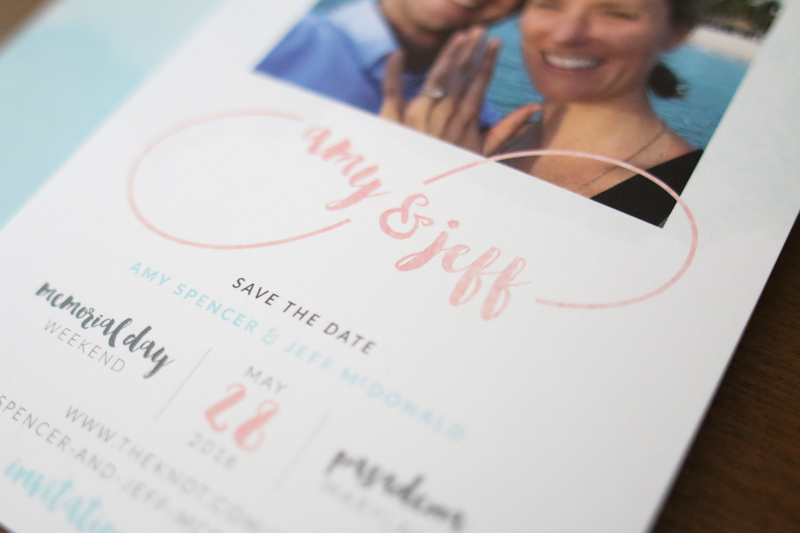 Soft hues and watercolor accents make this save the date a beachside wedding lover’s dream.